The Trio MC206X is one of the best motion products on the market. It's compact size and din-rail mounting make it ideal for a wide variety of projects. 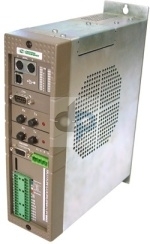 It has 16 opto-isolated 24V digital I/O (8 in, 8 bi-directional) built-in, along with optional I/O expansions. 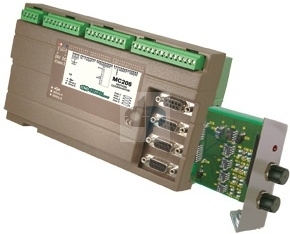 The MC206X can be communicated with using the following port(s): (2) RS-232 Serial, (1) RS-485, (1) TTL Serial, (1) USB, and (1) CAN Channel as standard. It can simultaneously control up to 8 different axes with, 4 stepper/servo/encoder axes right out of the box. Contact us today to learn more!